Originating from Montréal, Vanessa has studied music her entire life. When she discovered electroacoustic music in college, she also discovered a whole new means of expression and went on to pursue composition studies at the Conservatoire de musique de Montréal with Yves Daoust and Martin Bédard from 2008 to 2013. 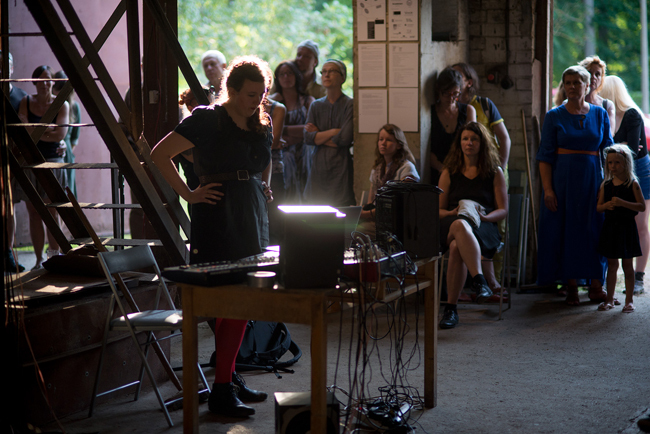 She has moved to the UK in 2014 to investigate performance of electroacoustic music under the supervision of Adam Stanović and Adrian Moore toward the completion of a PhD. Since 2011, her music is regularly heard in festivals around the world. Apart from taking time to focus on her own work, Vanessa collaborated with Estonian composer and musician Tuulikki Bartosik on a visual art installation and performance piece for the OMEGA 3 exhibition held in Mooste, July 2016.